I haven’t blogged in a while since I recently found out that I have thyroid disease called Hashimoto’s. My symptoms were extreme fatigue and I gained 9 pounds. Since I am an active energetic person I knew what I was feeling wasn’t right. In addition I haven’t gained weight in 15 years! 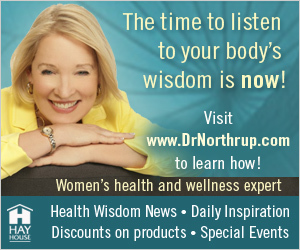 I have been in menopause for about 5 years without any symptoms except a few hot flashes. Upon going to the doctor and getting a blood work up it was revealed that my TSH (thyroid stimulating hormone) was high. It should be between 0-3 and mine was 11. I wasn’t satisfied just going to a conventional endocrinologist so the journey began. Being a research hound I had to know everything about the condition in order to make an informed decision regarding treatment. The butterfly shaped thyroid gland makes hormones that regulate the way the body uses energy hence the fatigue. The endocrine system is very complicated therefore it’s really important to do your homework. The thyroid makes two hormones: thyroxine (T4) and triiodothyronine (T3). T4 converts to T3. If your T4 is unable to convert to T3 you may need a compound that includes T4 and T3. This is not the opinion of most convention doctors. They basically give you the standard treatment for hypothyroidism which is a drug called Synthroid. Synthroid is only T4 which is why many women don’t feel better with it. If their T3 is low they won’t feel better unless that is replaced as well. I decided to start taking Synthroid since there isn’t anything else that will replace the hormones. You can also take a more natural hormone that comes from a pig’s thyroid. In addition when you have Hashimotos that means your immune system is attacking itself and in my case it’s attacking my thyroid. A simple blood test that tests antibodies can reveal autoimmune disease. Autoimmune disorders affect 50 million people in America. The rate has increased dramatically over the last 30 years. According to allopathic medicine there isn’t a way to treat autoimmune disease and get your antibodies lower. However I don’t believe that. I know the body has the ability to heal anything and we have to provide a space for that to happen inside ourselves. The root of my thyroid problem is that my immune system is attacking my thyroid so I am focusing on my immune system to stop it from doing that. As I prefer to treat everything with natural medicine I have always believed that the integration of conventional and alternative treatment is the future of medicine. In addition I have incorporated herbs, acupuncture and various Ayurveda techniques. If you don’t know what Ayurveda is, it means “the science of life”. It is the traditional Indian system of medicine and the sister to yoga. It has also made me take pause and slow down a bit. I have given up my treadmill and just focus on yoga and meditation. When we have hectic lives and add vigorous exercise we further deplete ourselves. I now prefer to take a nice walk in nature with my husband instead and doing more yoga than I did before – which is the best change I could have made. I start my day with yoga and meditation at 6am and it’s helped so much. I will continue to blog about my journey as I discover new ways to manage and heal this. At this point I have lowered my TSH from 11 down to 2 in 5 weeks which my doctor says is extroidinary. I have lost the 9 pounds and the fatigue is starting to lift. If we choose to, we can learn so much with every new experience, but knowledge really is power. I have been reading and researching and meeting with doctors and healers. There is a lot to learn, but if you want to take control of your health you need to seek out information from different sources. Most of all I am taking this situation to revisit my diet, my exercise level and what fulfills me and what doesn’t. Be open to change and never stop learning. If you suffer from thyroid disease and would like info on how to manage it please feel free to contact me. Have you read about the study about the role of selenium in lowering thyroid antibodies (TPO)? Hi Maria, I am curious to hear more. My doctor advised that I have a hypo thyroid put me on the meds but that was it. Im not sure of the questions I should be asking but I do know that I cannot control my weight, my legs are sore to touch and I dont feel like myself! I just need to know where to start. Thanking you in advance for your advice!